Contest time! 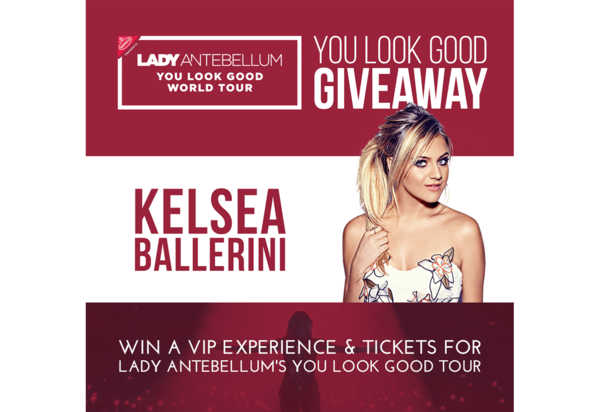 10 lucky fans will WIN 2 tickets and VIP Experiences to the #YouLookGoodTour! For more info and to enter, head here. Good luck! My little girl is the biggest KB fan! She will literally wake up from a dead sleep to dance and sing! Her 2nd birthday is 6/20 and KB will be in Charlotte on 6/16! Id love to be able to bring her for her birthday!! This would be awsome i cant wait to see the show in Bosie ID!!! I have never really had a deep desire to wanna meet an artist until you. You have inspired me so much. I am in love with you & your music. I have your album and it just plays and plays in my car with my top down. Lol It would make my life to be able to see you VIP and have the best time listening to you live!! Like omg!! If I win, I will be so stoked!! I'm trying to get into the country music industry and to meet an amazing new artist (who is my hero) would be totally amazing!